The Supreme Court, on Thursday, ruled that it is not mandatory to appoint a High Court Judge as the Chairperson of the State Electricity Regulatory Commission (SERC), which determines power tariff in the States. 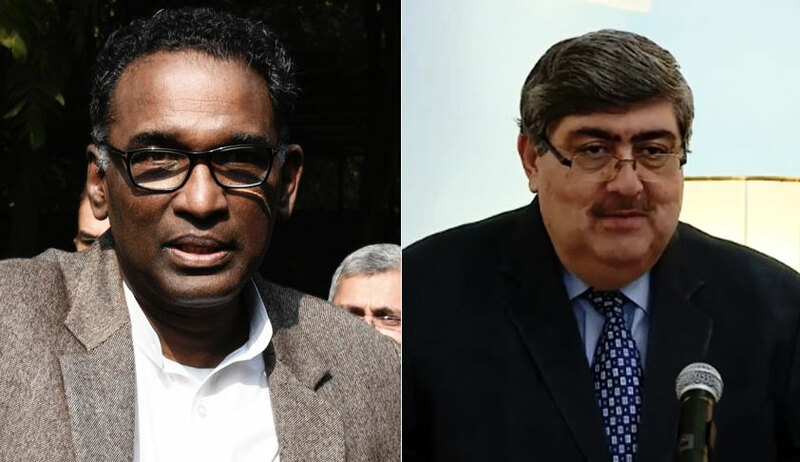 The Bench comprising Justice J. Chelameswar and Justice Sanjay Kishan Kaul noted that as per the Electricity Act, 2003, the Chairperson "may" be a Judge of a High Court for the State Commission, a Judge of the Supreme Court or the Chief Justice of a High Court for the Central Commission. It then ruled that the Act only gives a "discretionary option" to the State to appoint a Judge as the Chairperson of the Commission. The said provision, it asserted, was therefore not mandatory. The Bench however ruled that it is mandatory to have a "person of law" on the three-member Bench of the State Commission, explaining, "...at present there is a single Commission, which inter alia performs adjudicatory functions and, thus, the presence of a man of law as a member is a necessity in order to sustain the provision, as otherwise, it would fall foul of the principles of separation of powers and judicial review, which have been read to be a part of the basic structure of the Constitution." It, however, clarified that it cannot be just any person from the field of law but someone who is or has been holding a judicial office or is a person possessing professional qualifications with substantial experience in the practice of law and who has the requisite qualifications to have been appointed as a Judge of the High Court or a District Judge. The Court had been confronted with a conflict of judgments passed by the Madras High Court and the Gujarat high Court. The Madras High Court, while ruling on a challenge against the selection process for appointment of the Chairman of the Tamil Nadu State Electricity Commission, had ruled that the Act only provides for appointment of a Judge as an option, and that this was not a mandatory requirement. The Gujarat High Court had, on the other hand, opined that the requirement was mandatory. With such conflicting opinions, several petitions had now been transferred to the Supreme Court to lay down the law. The Court began by examining the provisions of Section 84 of the Act, which provides for qualifications for appointment of Chairperson and members of the State Commission. It noted that Section 84(1) mandates that both, the Chairperson and the members “shall” be persons of ability, integrity and standing who have adequate knowledge of and have shown capacity in dealing with problems relating to engineering, finance, commerce, economics, law or management. "We are, thus, inclined to accept the line of reasoning advanced by the learned counsel led by the learned Attorney General that the plain reading of the section leaves no manner of doubt that the legislature only envisaged a possibility of appointment of a Chairperson from the pool of sitting or retired Judges of the High Court, in which case the method of appointment would be different from the one as envisaged under Section 85 of the said Act." The Court further noted that while Section 85(1) of the Act provides for a Selection Committee to be headed by a Judge of the High Court, the proviso clarifies that this would not apply for appointment of a former or current High Court Judge as the Chairperson. This, the Court opined, showed that a non-Judge can be appointed as the Chairperson of the Commission. After this conclusion, the Court went on to examine whether, in case the Chairperson is not a Judge, any of the other two members of the three-member Bench should be from the legal field, considering the nature of functions performed by the Bench. It then noted that the Commission has "trappings of the Court", and performs judicial functions, albeit limited ones. Therefore, presence of a judicial member, it opined, becomes mandatory. Section 84(2) of the said Act is only an enabling provision to appoint a High Court Judge as a Chairperson of the State Commission of the said Act and it is not mandatory to do so. It is mandatory that there should be a person of law as a Member of the Commission, which requires a person, who is, or has been holding a judicial office or is a person possessing professional qualifications with substantial experience in the practice of law, who has the requisite qualifications to have been appointed as a Judge of the High Court or a District Judge. That in any adjudicatory function of the State Commission, it is mandatory for a member having the aforesaid legal expertise to be a member of the Bench. The challenge to the appointment of the Chairman and Member of the Tamil Nadu State Commission is rejected as also the suo moto proceedings carried out by the Commission. Our judgment will apply prospectively and would not affect the orders already passed by the Commission from time to time. In case there is no member from law as a member of the Commission as required aforesaid in para 2 of our conclusion, the next vacancy arising in every State Commission shall be filled in by a Member of law in terms of clause (ii) above.